Snus: smokeless tobacco. This tobacco product has risen in popularity in recent years, and is heavily used in Sweden and Norway as a substitute for smoking. Also pronounced either snoose or snooze, the product is quite different than snuff, as there is no need to spit. Many believe it is a beneficial substitute for those who want to quit smoking, as snus delivers the nicotine. No smoke is involved, and there is no irritation, inflammation or damage to your lungs. Unfortunately snus has big health drawbacks. A recent study established that snus can be a gateway to smoking or the use of other types of tobacco products for young people who use the product. Snus contains nicotine, a highly addictive substance. If you use snus, you ARE addicted to nicotine. Once addicted, the craving can lead you to smoke just that one cigarette, and then another, and before long you are a smoker. Beyond the risk of becoming a user of other tobacco products, snus carries some serious health risks, including an increased risk of oral cancer, pancreatic cancer and cancer of the esophagus. Snus is manufactured in a manner that reduces certain dangerous chemical compounds, which is an advantage. The disadvantage is that snus still contains a significant quantity of these cancer-causing chemicals. A study of Swedish and Norwegian snus users has established that those who use it are far more likely to develop pancreatic cancer. The substance is also now linked to mouth sores, heart attacks, strokes and an increased risk of diabetes. A recent study monitored about 1,000 Swedish adolescents for five years as they progressed through school. The Swedish youths that used snus were proven to be three times more likely to become smokers after leaving school. The substance has been touted as a way for people to quit smoking – but is the opposite true, particularly for young users? This study, conducted by Researchers at Umeå University in Sweden has clearly revealed that there are hidden health dangers in the use of snus that extend beyond the inherent risks in the product itself. While many believe there are significant health advantages to using snus over cigarettes, if the eventual outcome is likely to be a smoker, the concept may prove to be seriously flawed. A lead researcher believes schools should address this issue in part by altering the campaign from having a “smoke-free” campus to “tobacco-free” campus to reduce the risk of turning out higher numbers of young smokers. Teenagers tend to feel immortal, and don’t consider the long-term impact on health in what they are doing. Outlawing the use of any tobacco product on school grounds could be part of the answer to the high numbers of young people who continue to become nicotine addicts. In the USA, the CDC (Centers for Disease Control) reports that in 2012, 23.3% of high school students are estimated to be using tobacco products – almost one-quarter of this age group. The statistical breakdown of the types of products used is as follows: cigarettes at 14.0%, cigars at 12.6%, smokeless tobacco at 6.4%, hookahs at 5.4%, pipes at 4.5%, electronic cigarettes at 2.8% and snus currently at 2.5%. 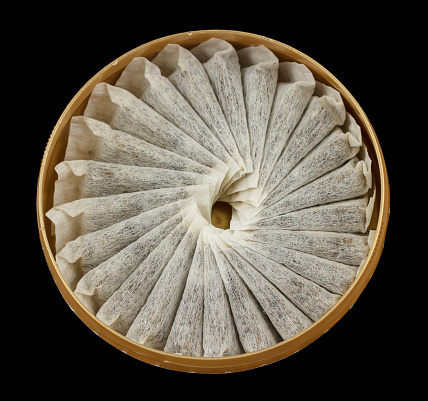 Be the first to comment on "Snus As A Gateway To Smoking And Other Tobacco Products"